Establishing and maintaining trusting relationships with my patients is very important for me. 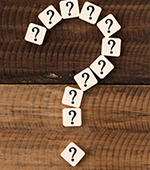 I not only strive to provide the utmost care for each patient that I see, but also seek to build trust and rapport by answering their individual questions. I enjoy helping patients to broaden their understanding so they can feel empowered to take control of their own oral health. 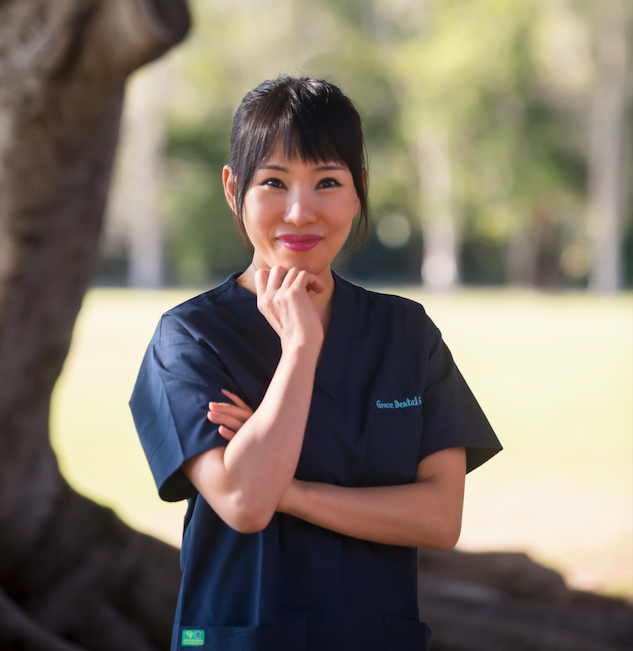 Dr Christina’s treatment philosophy is that patient comfort and patient confidence comes first. In order to achieve this, she always aims to understand her patient’s values and needs. She understands that competency in dental skills is important, as well as social skills as this helps make her patients feel comfortable and relaxed. 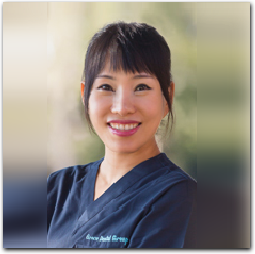 She has a special interest in doing further training in implants and orthodontics, often undergoing additional seminar and courses. She also has a special interest in aesthetic restorations, and loves seeing the transformation that the completed treatment has on the patient. 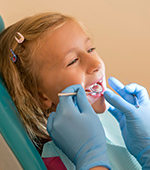 She finds treating children and patients with dental phobias rewarding as her gentle, considerate and informative nature helps put her patients at ease and confident about their treatment options. In her spare time, she enjoys doing pilates, making flower arrangements and playing golf. If she’s not doing any of these, then you can find her singing in her church choir! Paediatric Dentistry. Enjoys working with children, going through basic oral hygiene instructions. Meditation and yoga. Planning to challenge myself for a half-marathon this year! Dr Ben Kim graduated from Griffith University with a Bachelor of Oral Health in Dental Science (2010) and a Graduate Diploma of Dentistry (2012). 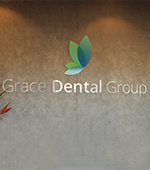 He has many years of experience in private and public dental practice, in both Queensland and New South Wales. As a gentle, caring and meticulous practitioner, Dr Ben puts nervous patients at ease and takes time aside to explain to the patients about all aspects of their dental care. 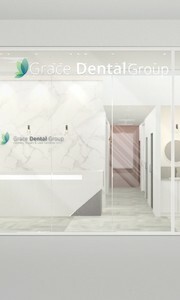 He also strives to provide high quality service, helping patients to have a positive experience. Dr Ben believes that learning never ends! He is dedicated to keep up to date with the latest dental technology to provide state of the art and contemporary dental treatment. To further his knowledge and skills, he regularly and even travels abroad to attend many dental courses and seminars. Dr Ben has done more than four times the required education hours during the this set three-year cycle. He has completed Primary examination with the prestigious Royal Australian College of Dental Surgeons and is pursuing to become a fellow with the College. 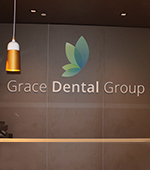 Dr Ben is currently a member of Australian Dental Association and Gangnam Academy of Wisdom teeth Extractions. He enjoys all aspects of dentistry but his particular interest lies in cosmetic (Porcelain veneers) and restorative dentistry, surgical wisdom teeth extractions, periodontics (gum disease) and prosthodontics (crowns and bridges). 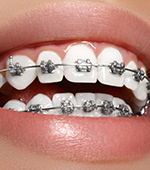 He is also a qualified provider of both Invisalign and Clear Correct (Clear orthodontic aligner systems). Dr Ben has a passion for voluntary work and has attended a rural voluntary dental program and helped as an interpreter at Seoul National University Hospital in South Korea. He is also very keen to participate in volunteering work overseas in the coming years. Outside of his work, he enjoys spending time with family and friends, as well as playing chess, badminton and golf. He loves playing the piano and has been an active pianist at his church and in the band during his studies. My treatment philosophy is to always produce gentle and high-quality dental treatment, as well as creating a relaxed environment for the patient. I always make sure to address the patient's needs and pt their benefits front of mind. 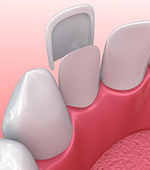 I find restorative and aesthetic dentistry (such as veneers and crowns) very enjoyable. Seeing patient's satisfaction with their new smiles is very rewarding! I also have a special interest in pediatric dentistry, and helping young children overcome their dental phobias. In my spare time, I enjoy doing yoga and pilates to relax, as well as spending time with my friends and family. Since I've started working as a health care professional, my philosophy has always been to "treat others as you would like to be treated". 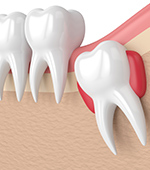 Nothing is as good as your own tooth, so I always strive to provide the most reliable and conservative treatment option for my patient in an environment that feels as comfortable and stress-free as possible. 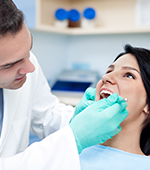 I believe dentistry is not only a skillset, but also a service too. I believe that my role as a health care professional involves putting heavy emphasis on preventive dentistry and to build a long-lasting rapport and relationship with my parents so that making that next dental visit does not feel like a big task that you want to put off doing. The keywords for the dentistry that I strive for is 'personalised', 'preventative' and 'preservation'. I have a special interest in preventive dentistry, such as oral health promotion and awareness through regular check-up and cleans. 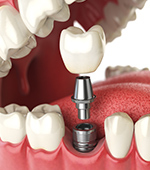 Fixed prosthodontics (such as crowns and bridges), and cosmetic dentistry are also close to my heart. 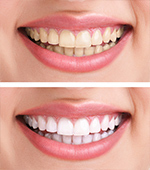 There is nothing more rewarding than a patient who walks out happier and satisfied with the look of their new smile to improve their self-confidence. My hobbies include playing the piano and I am currently practicing to (hopefully!) one day be involved in a vocal/jazz band. I also enjoy travelling to experience other cultures, history and food and photography to make each day-to-day more visually memorable. I like to treat my patients like they are my family. I try to explain everything so that patient's can understand what is involved in their treatment and explain all the options available to them so that they can make an informed decision. 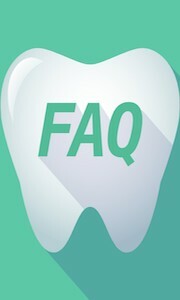 If patient's are confused I will generally recommend the treatment option I would choose for my husband or my parents. As I have dental phobia, I try to make the experience in the chair for patients as relaxing and comfortable as possible. I believe a friendly face can make someone's day a lot better, and I strive to be genuine and smile a lot. Other hobbies/interests My husband and I are addicted to traveling. We like to work hard when we are back in Sydney and then spend time visiting countries all around the world when we can take some time off. We love experiencing new cultures, foods and meeting different people along the way. However, as we are both introverted and quite shy in our downtime I like to read or go bushwalking. 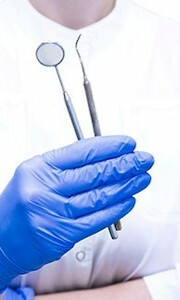 My aim as a dental clinician is to provide the best dental treatment for the patient. I believe that this can only be achieved through continuing professional education and with a caring heart. I have a special interest in oral implants, gum disease and full mouth rehabilitation as seeing the end results and the patient’s new found confidence happiness is truly rewarding for me. During my spare time, I like to watch English Premiere league soccer matches with my dog, Honey, by my side!